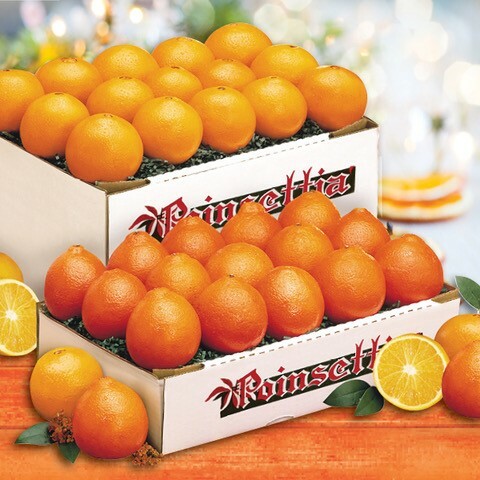 For a brief period in January, Navels and Honeybells are available at the same time. Don’t miss what are hands-down two of the sweetest varieties on the planet. Mark your calendars and order early as our Navel and Honeybell supply, like their time together, is limited. Just ask and a joyous January is yours! Looking for Honeybells and Grapefruit? Click here.